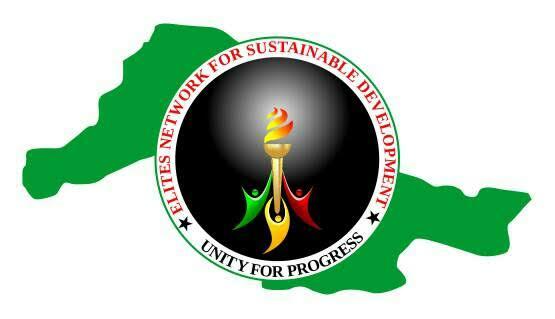 Elites Network for Sustainable Development (ENetSuD), a Kwara-based Civil Society Organization, has expressed displeasure over the absence of National Home-Grown School Feeding Program (NHGSFP) in Kwara State, a program that is part of National Social Investment Program of President Muhammad Buhari administration. In a statement signed by its Coordinator and made available to journalists in Ilorin, ENetSuD disclosed that it engaged NHGSFP to explain why the program is yet to commence in Kwara State, despite being operational in many other states in Nigeria for about 4 years. We also clarified from NHGSFP whether there is any financial burden of the program implementation on the side of Kwara State Government (KWSG). Responding to the queries of ENetSuD, the NHGSFP explained that “The commencement of the School Feeding Program is dependent on the readiness of the State government. The state is responsible for providing the administrative personnel and tools required for the program. If the state is not prepared, the program cannot commence. The Federal Government is only responsible for funding the program. The Federal Government led school feeding program only caters for primary 1-3 pupils”. For balanced reportage and fair-hearing, we contacted Dr. Muyideen Akorede (the SSA Media and Communication to Kwara State Governor) to tell us the official position of Governor Abdulfatah Ahmed on the matter. He initially referred us back to NHGSFP to ask what it meant by “administrative personnel and tools required for the program”, a phrase that was explained to us by NHGSFP to mean that the State government is responsible for providing the list of schools and also choose and train the cooks, vendors, suppliers and everyone that will be participating in the program. On reporting back to him, Dr. Akorede finally said that the KWSG is currently enrolling and vetting vendors, cooks and suppliers preparatory to accessing the program in the State. Based on the information made available to ENetSuD by Federal and State Government, we were surprised to note that the program has not commenced in Kwara State till date because KWSG did not provide the list of schools and train personnel needed for this Federal government fully-funded program that does not require any counterpart fund from state government. The usual excuse of nonavailability of fund to pay counterpart funds for programs like UBEC Matching grant is not obtainable in this NHGSFP case. We therefore urge the KWSG (current and incoming administrations) to take this NHGSFP seriously, as it will greatly benefit children, farmers and host communities in Kwara State through its multiplier effects. The children will benefit from hot nutritionally balanced school meal which reduce hunger, improve education outcomes and reduce the rising trend of out-of-school children. The farmers will benefit from improved access to market of their farm produce and increased income, thereby boosting the economy. The host-communities will benefit from new catering, processing and food handling.